By now, everyone who owns a Kindle or Kindle reading app knows that the Kindle Bookstore is a magical place with unsuspecting dark cavernous spots that make you rethink your existence as an e-book reader. 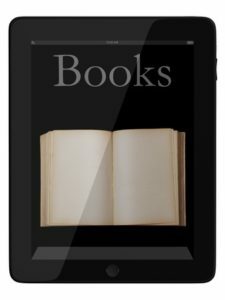 I have firsthand experience in the Kindle store, as a reader and an author, and I’m here to tell you that Amazon’s Kindle Bookstore has so many flaws that sometimes it’s just easier to find another source for eBooks than to wade through the muddied waters and quicksand that Amazon provides. Being an avid reader is a tough job. You latch on to characters and your favorite authors all the time. There’s nothing like RELEASE DAY, espeically when you’ve pre-ordered that book MONTHS ago. Still, the feeling that comes with reading about the next phase of your faveorite character’s life is practically euphoric. And when you read the last page, nothing hurts worse than THE END. Because we, as readers, never want our favorites to end. Speaking from an author’s point of view, they have to. I’m an insomniac. It’s not a fun thing to be. Do you know what it feels like for your body to be completely exhausted but you cannot sleep? Do you know that sleep deprivation is a method of torture? Depriving your body of rest adversely affects your brain and cognitive functions.